Graph Theory is the study of relationships in graphs along with graphs in general. A graph is made up of nodes (points on the graph) and edges (connections between those nodes). Graphs are abstract data types used from making maps to social networks, to finding an actor's bacon number. 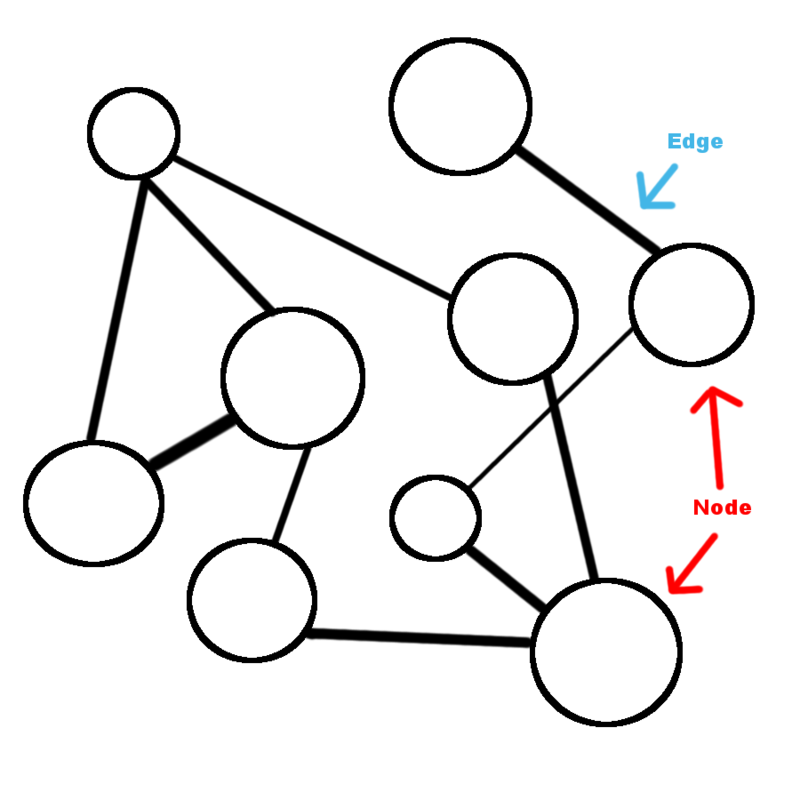 In the example of Facebook, the nodes would be the users on the network and when two users become friends, a connection (edge) is formed. A graph can be a simple graph or a multigraph. A simple graph has one type of edge while a multigraph can multiple types of edges. 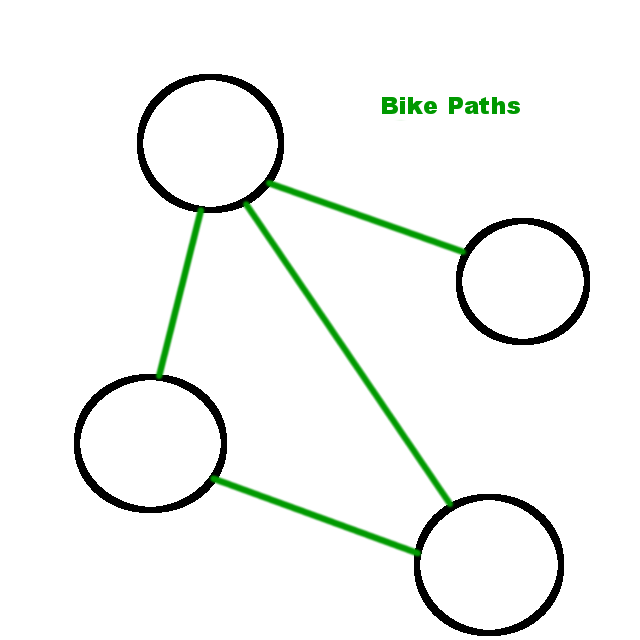 For example consider the graph below which shows the bike paths between of paths between buildings. This would be a simple graph because the only type of edge would be the bike paths. However, imagine if we also wanted to consider skateboard paths. 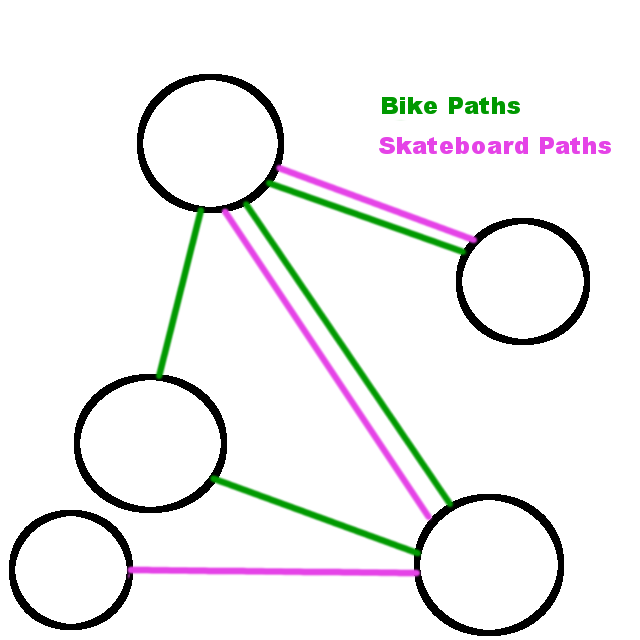 Some paths may be bike paths, some may be skateboard paths and some may be both! In the multigraph above we can represent all 3 types. Graphs are resourceful in that they can represent different types of data and be applied to many different situations which still being able to organize the data in a coherent manner. The structure of a graph allows for abstract representations that range from transportation to actor databases which make them a valuable resource as a data type.